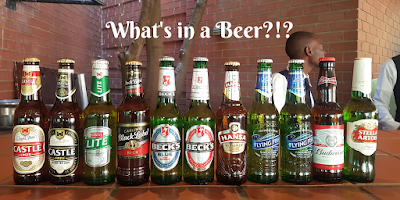 What's in a Beer? 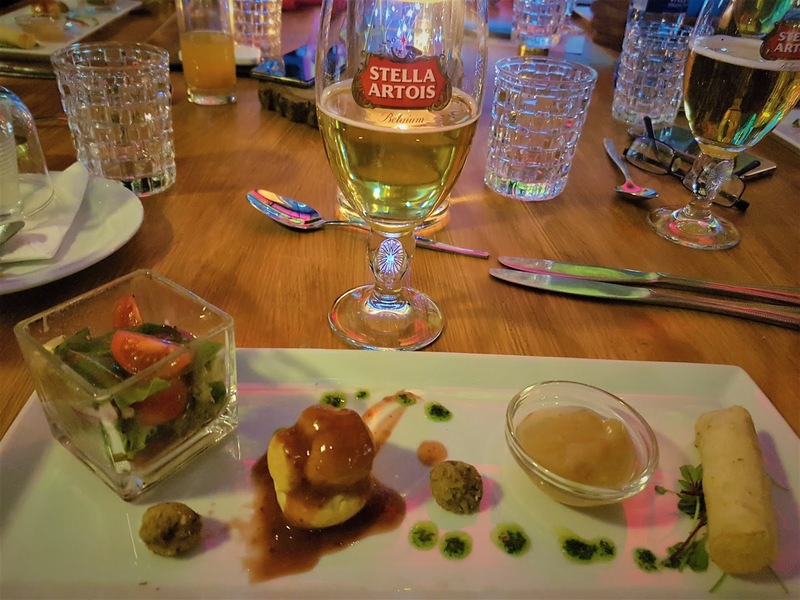 A Food and Beer pairing Experience. My most recent adventure has been learning about beers. 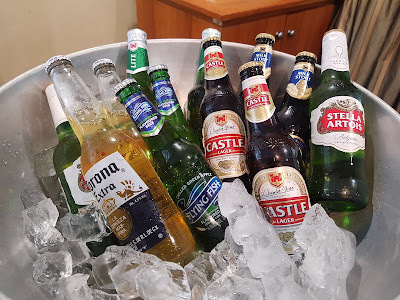 what is it that makes a beer a good beer, what kind of food would compliment different beers, and where do these beer flavours come from and how do they come about? Most of us know a good beer or what we imagine is a good beer just based on a sip. But there is more to our beloved brew than just awesome branding and marketing. 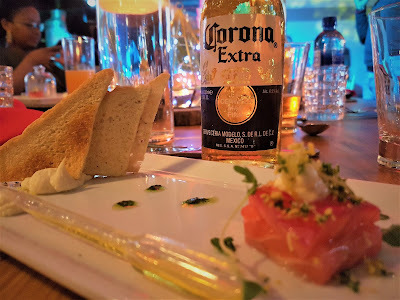 Today I will share with you some lessons I have learned from drinking beers across Africa through a 5-course food and beer pairing available at SAB World of Beer. 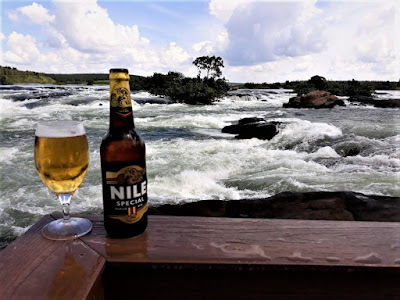 A Nile Special on the river Nile, Uganda. 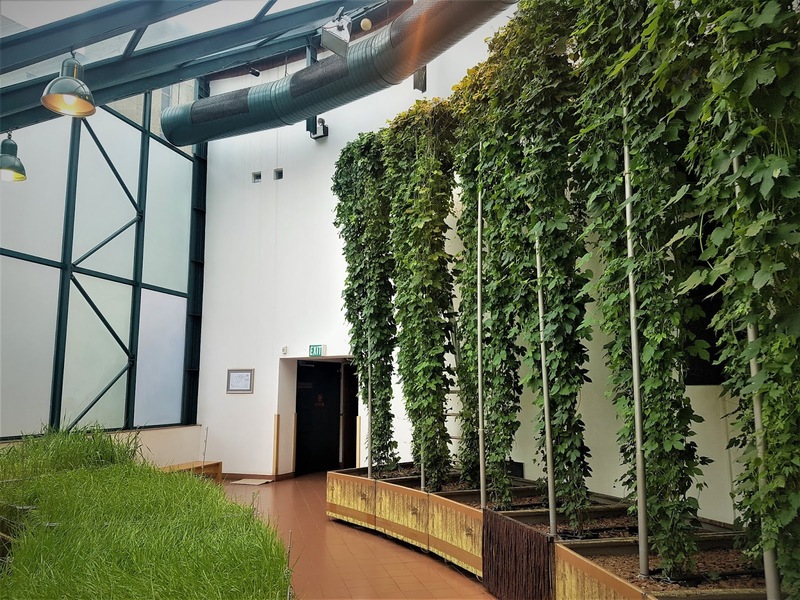 Barley grass and cascading hops plant. Hops: Many times people use "hoppiness" to describe how bitter a beer tastes, but not all hoppy beers are bitter. The taste of a hoppy beer depends on when the hops are added in the brewing process. The earlier the hops are added, the more bitter the beer. 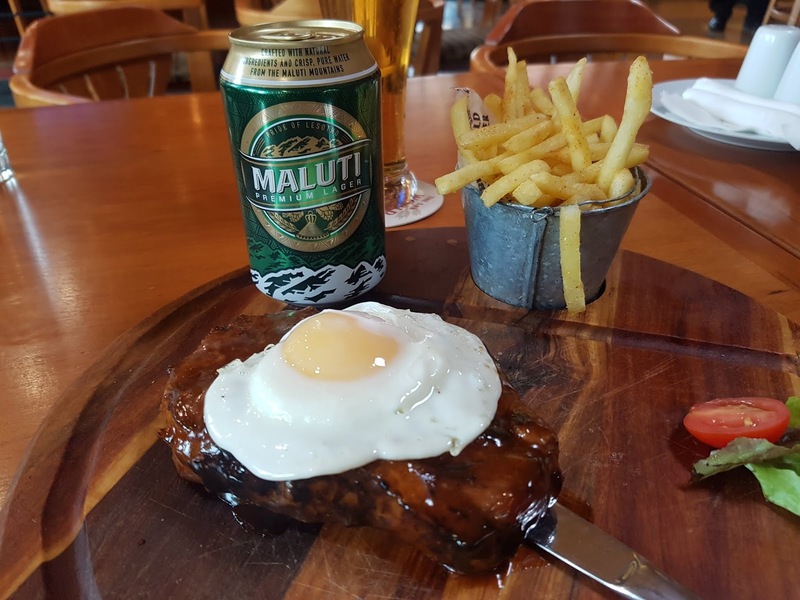 Malt: Malt comes from the barley grain, and it is usually roasted before it is added to the brew. Roasting barley gives the beer a nutty flavor and a toasty aroma. Plus, during the roasting process, the sugars in the barley caramelize, bringing out a slightly sweet, caramel taste. Dark: While it may seem more like a description of the color, dark can also be used to describe how a beer tastes. Dark beers are made with malt grain that is roasted until it reaches a dark color. Dark beers are typically roasted longer than malty beers, giving them a richer and heavier taste. The malt's nutty, caramel flavor turns to darker notes of chocolate and coffee with a longer roast time. 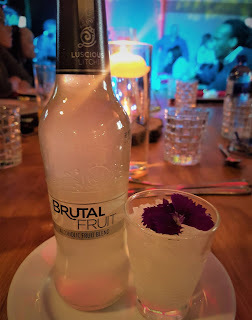 Light: Light beer is usually known for having a clean and crisp taste that is refreshing. Typically, light beers don't have a strong flavor and aren't very bitter or hoppy. As a result, most light beers also have low alcohol content. First course - Juniper and beetroot infused Machadodorp Salmon Trout and light, creamy Bacalhau Mousse, delicately dome-smoked with votive bitter orange enhanced hickory chips topped with a lemon thyme and citrus zest gremolata. Complimented with Lime pipette splash and slivers of Melba toast. Second course - A bowl of the finest gossamer Ramen Noodles, pulled fowl with sautéed Morogo and a poached quail egg; accompanied by a piping hot chicken broth. Served with a selection of flavour-enhancing condiments; roasted coconut slivers, fresh coriander, minced garlic, a hint of ginger, a dash of chilli, roasted onion flakes, fresh lemon grass and crispy Nori ribbons. 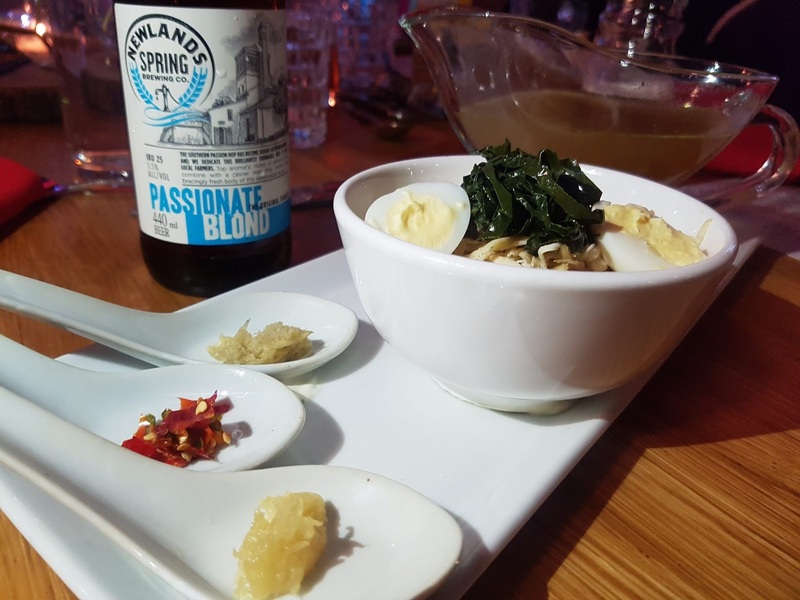 Paired with Passionate Blonde from Newlands Brewery Co.
A palate cleanser is a neutral-flavored food or drink that removes food residue from the tongue allowing one to more accurately assess a new flavor. Fourth Course - A trio of blue cheeses, Profiteroles filled with a blue cheese mousse laid on a rich Cumberland sauce. Date and Walnut rolled Blue cheese spheres. Blue Cheese spring roll with a sweet chilli and pear dipping sauce; garnished with baby pear. Fifth Course - A Verrine of rich Bavarian chocolate and cherry layered Gateau, enclosed with a chocolate covered corn shard topped with a macaroon. Complimented with Lindt 80% chocolate ganache sauce, spiced with a hint of Aztec chilli. Experience the SAB World of Beer Food and Beer pairings hosted once every month. 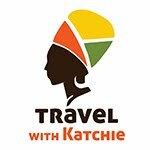 You can purchase your tickets from Webtickets. 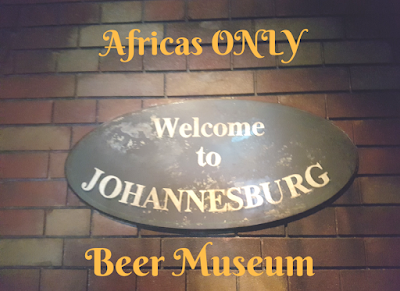 You can learn more about Africa's ONLY Beer museum here. November marked the first ever #AfricaThroughBeer experience in Uganda where in collaboration with SAB world of beer we hosted a group of 5 winners from South Africa who traveled with us to Uganda to explore East Africa’s adventure capital, find amazing brews and learning more about beer. Some South African and international brews during a beer tasting. The winners had to visit SAB World of beer for a beer tour in order to stand a chance to visit Uganda with us. 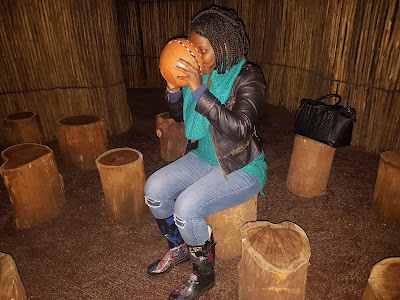 Tasting some Umqombothi (isiZulu traditional beer) from a traditional calabash as part of the beer tour. 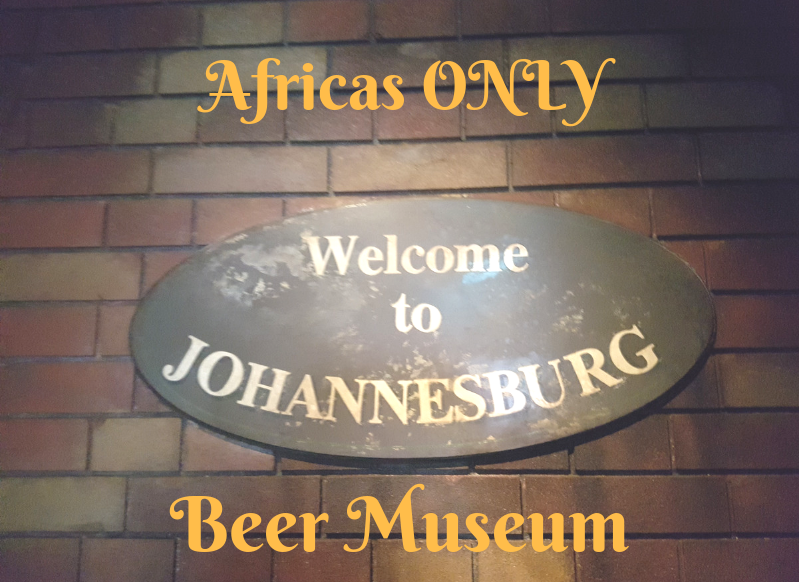 SAB World of Beer is Africa’s only beer destination. 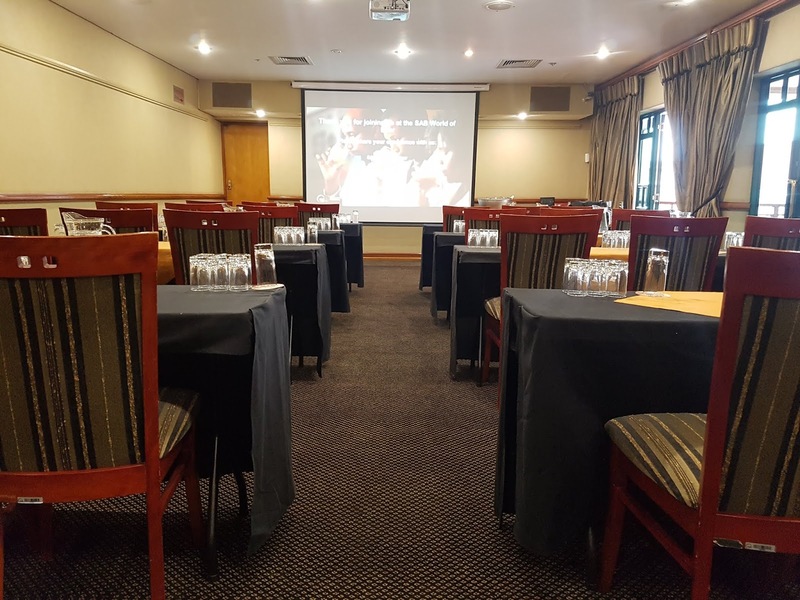 Situated in the heart of Newtown, Johannesburg. 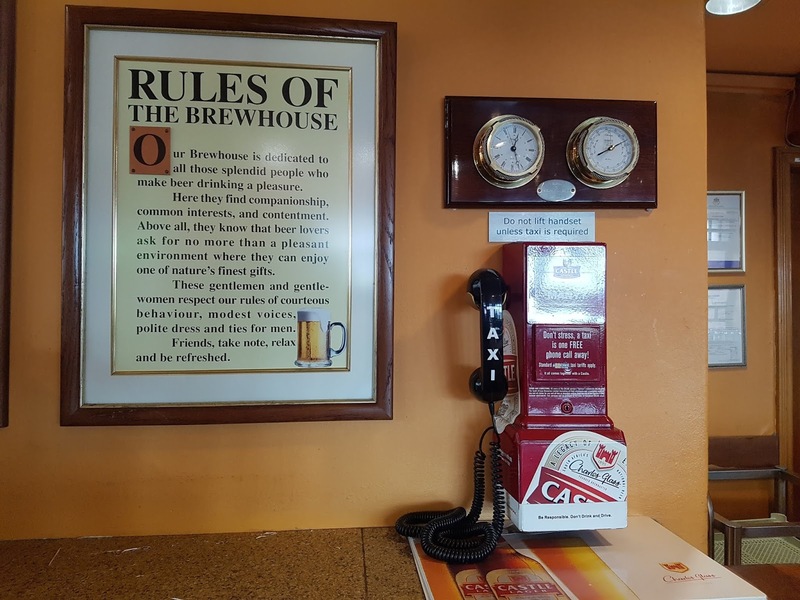 The beer museum takes you on a journey of beer brewing from the Nubians in Egypt down to South Africa uncovering the fascinating brewing through a fun, informative and interactive tour. Maluti is a beer from Lesotho. 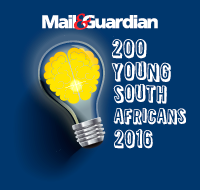 Named after the Maloti Mountains of the highlands of the Kingdom of Lesotho. The museum doesn’t offer beer tours only. 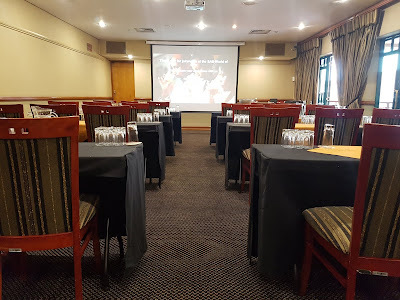 They also have world-class events venues for all your eventing requirements. You can visit the World of Beer Tap Room which serves amazing pub-style meals, amazing views of Newtown and of course beers on tap. Here you will also find some of the beers from various African countries. Conference venues at the museum. There are monthly food and beer pairings where you get to learn more about the various AB-inBev brews and how they are best complemented with certain foods. 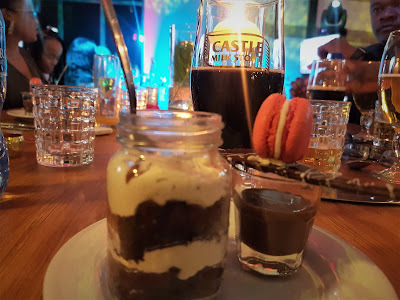 The food and beer pairing is a 5-course meal accompanied with various beers and ciders and it is open to all that love and beer and those who would love to learn more about beer. The beer pairings are guided by an expert brewer. 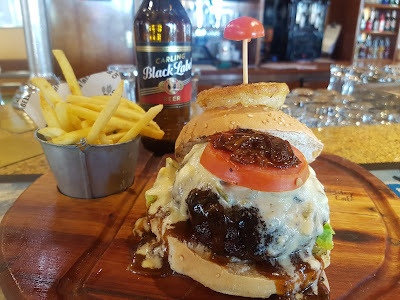 By far Joburgs greatest burger accompanied by South Africas greatest beer (I may be biased). Did you know: Charles Glass is the founder of the Castle Brewery, the oldest commercial brewery in South Africa founded in Johannesburg in 1894. Our brewhouse is dedicated to all those splendid people who make beer drinking a pleasure. Here they find companionship, common interest, and contentment. Above all, they know that beer lovers ask for no more than a pleasant enviroment where they can enjoy one of natures finest gifts. These gentlemen and gentle women respect our rules of cuotious behavior, modest voices, polite dress and ties for men. Friends take note, relax and be refreshed. 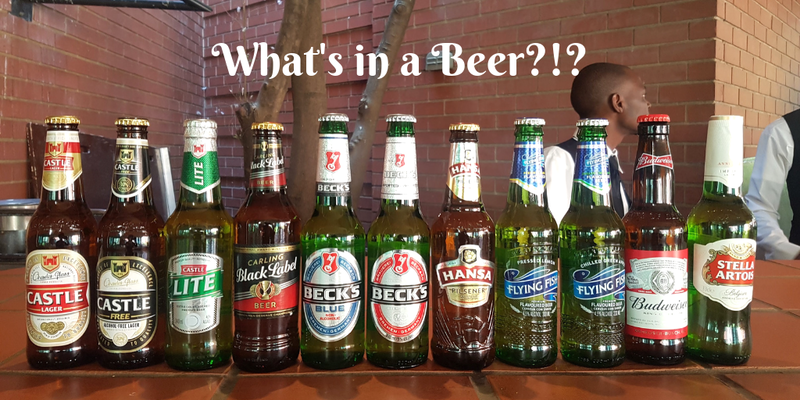 SAB World of Beer is open 7 days a week, from 10am to 6pm. Tours are held at the top of every hour with the last tour starting at 5pm, except for Sunday and Monday when the last tour is at 4pm. You can purchase your tour and food and beer pairing tickets online on at the museum. A visit into a South African shebeen in the museum. 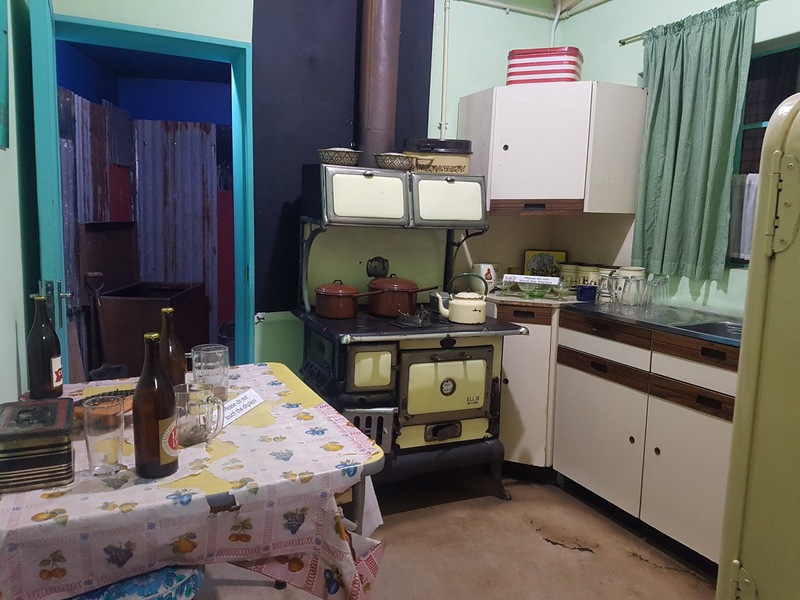 Shebeen is an Irish word meaning a place that sells alcohol without a license. Read more on what the first #AfricaThroughBeer competition winners experienced in Uganda.